Wow, there is a lot going on in your life! It all sounds very exciting. 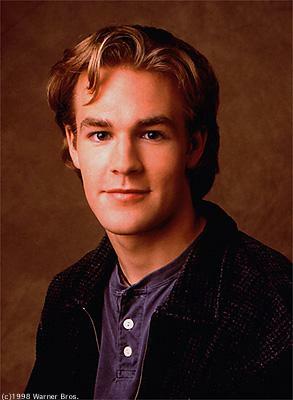 Oh Dawson’s Creek. It’s been awhile since I have seen that show. also…WHEE REB!! i am sending him great vibes for a wonderful phd experience. Congrats to REB! And wow, good for you for doing so well with the caffeine and eating! Keep it up! AHHHHHH I am preparing to send you an email shortly but wanted to stop by here now since I saw ths. Truth be told that damn Dawson’s Creek picture made me come in here IMMEDIATELY lmao! I remember being at MSU living in Wonders and watching the SERIES finale of that show on my floor. I personally always preferred Pacey over Dawson…I mean let’s be real, he had the bad boy appeal and didn’t have the bad hair you speak of. I think we should watch some together next time I see you. JUST SAYING. Also I am SO proud of you for your accomplishments and how amazing you rock everything you put your mind to. Must be why you are my bestie. love you bunches!!!!!!!!!!!!! Love all the updates! Honestly, even though I hate the fact that Vishnu is always studying, the me time makes it ok. And I do everything you do! Sometimes I even have time to read a little before bed! Have a great weekend hanging out with your hubby! !